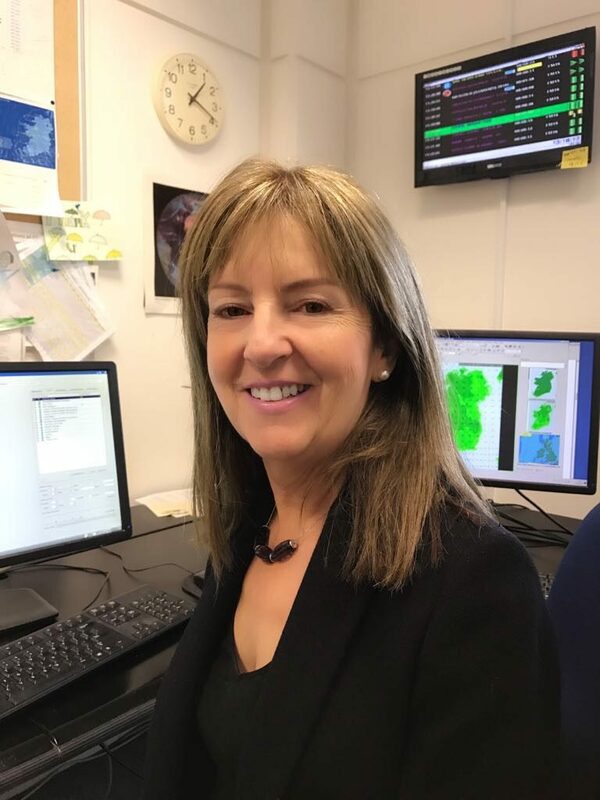 The 2018 EMS Broadcast Meteorologist Award was presented to Evelyn Cusack, Head of the Forecasting Division in the Irish Meteorological Service, Met Éireann. Her long, distinguished career in meteorological science began as a weather forecaster in 1981 and she extended her broadcasting skills to television in 1988. She has presented the weather on the Irish national television station, RTÉ, for more than two decades. As well as television forecast bulletins, Evelyn also presents the weather on the national radio station and is routinely interviewed on news and current affairs programmes on radio and television regarding all matters of a meteorological nature. She has been voted by the public as ‘Ireland’s Favourite weather Presenter’ due to her natural, down to earth style, her honesty (apologising when the forecast goes wrong) and her clear way of explaining the science of meteorology. 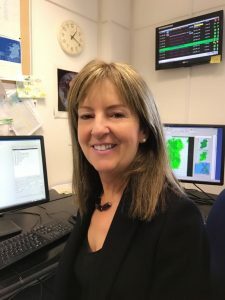 Since the foundation of the Irish Meteorological Society (IMS), Evelyn has served on the committee for many year: She has been Secretary twice, Assistant Secretary twice and has held the role of Vice President. 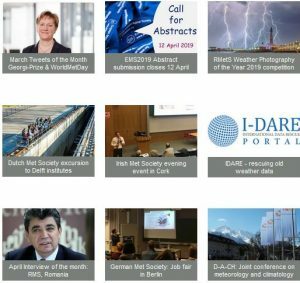 Recently, she was instrumental in the organising of a recent high-profile public conference on hurricanes and wind storms entitled “The Wind that shakes the Island”: https://www.met.ie/the-wind-that-shakes-the-island-conference-by-met-eireann-and-the-ims. Evelyn Cusack is the public face of meteorological science in Ireland and uses this recognition factor to promote STEM (Science, Technology, Engineering and Mathematics) subjects, particularly during Science Week (http://www.sfi.ie/engagement/science-week/) and Maths Week (http://www.mathsweek.ie/). She regularly delivers talks in schools around the country and is an ambassador for the An Táisce Green Schools environmental management and awards programme for schools in Ireland. Evelyn takes every opportunity to champion the Scientific Method through media interviews and gives freely of her time to visit and lecture in schools and colleges across Ireland. She is a Judge in the junior section of the Annual Young Scientist Exhibition in Ireland. She is involved in public outreach at major agriculture, horticulture and marine events in Ireland. One of the most popular television programmes in Ireland is the annual “Late Late Toy Show”. In 2015 Evelyn Cusack appeared on the show as a surprise for an 8-year old weather fanatic who made his own meteorological board game. Evelyn coached him on how to deliver a TV weather forecast. The presenter of the show counts this as one of his top Toy Show moments. If one mentions weather forecasting to anybody in Ireland, the name Evelyn Cusack springs to mind. Her methods of communication are extremely refreshing and ensure that key messages are conveyed to members of public.